What’s more perfect on a cabin than fir wood siding? 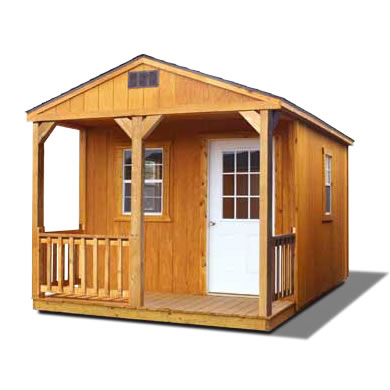 This model comes in 10ft, 12ft and 14ft widths with a gable style roof. The wood cabin includes a 9-lite door, three 2x3ft windows and a 4ft deep front porch and can even double as a small office or getaway.